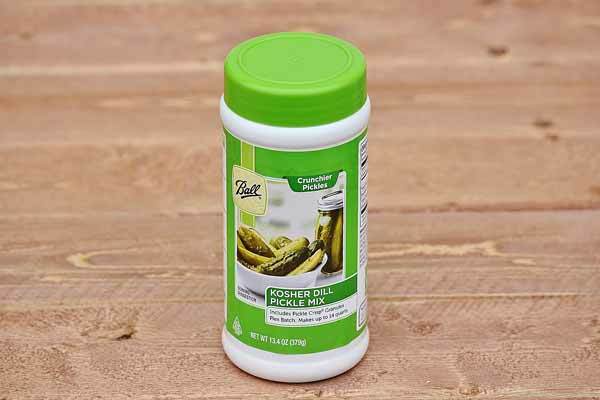 Use this pickling crisp to make crunchy homemade pickles with ease! No need to soak pickles in lime for hours. Just add vinegar, water, and vegetables. Works with all types of veggies and pickling spices. Made in the USA. Flex Batch: Makes up to 14 quarts.